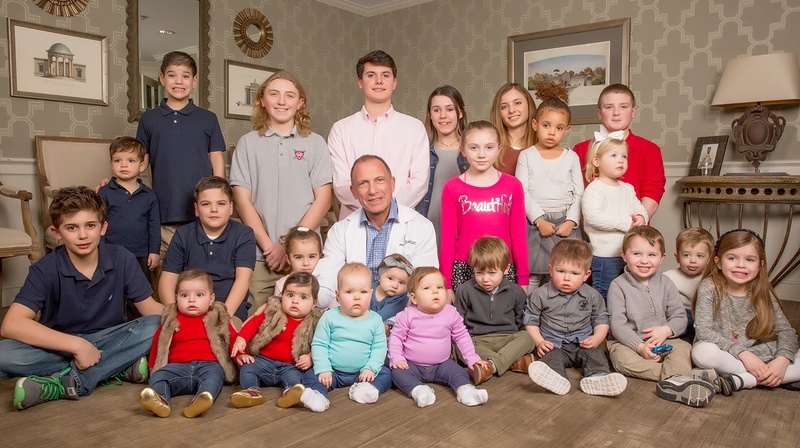 Dr. Lavy and the staff New England Fertility are incredible. The encouragement and care I was given was above and beyond anything I expected. From our initial consultation, my husband and I were impressed with the professionalism, understanding and support we received. Dr. Lavy put my husband and I at ease with his calm and caring demeanor, and we immediately knew he was the right fit for us. The staff is wonderful and they always greeted me with positivity and offered encouragement throughout treatment. They always made me feel like a priority, working with my schedule and going above and beyond to accommodate my husband and I.
Dr. Lavy’s ability to connect with us was exceptional and made a huge difference during this process. His attention and focus on my individual care resulted in a successful pregnancy. I now have a beautiful 21-month-old baby boy! There are no words that could ever thank you for all that you did for us. You made us feel comfortable during a time that was very frightening for us. You made what seemed impossible into a wonderful reality. You are a caring doctor, and we are so glad that you were the one to help us achieve our goal of starting our family. Thank you for your positive attitude, understanding, encouragement and compassion. The staff is simply amazing. Your office is well organized, with an attention to detail that is much appreciated when dealing with such uncertainty. I discovered NEFI through a friend after a very unpleasant experience that occurred at a different facility. Still to this day, eight years later, I am so thankful she did! From the moment I walked in their door I knew that we were in the right place. Every member of their team always treated me like a person not just another "case." My initial consultation with Dr. Lavy was very comforting. We discussed my previous treatments at the other facility and immediately discussed next steps, which was IVF. Initially, I was very afraid of the process but the NEF team was with me all the way. Their level of expertise and compassion was far beyond anything I've ever had before! After my egg retrieval the NEF team, they kept us informed every day as to how our embryos were progressing. On the day of embryo transfer we had three viable embryos and implanted all three. It was successful... thanks to Dr. Lavy and his team of dedicated and compassionate medical professionals! We were blessed on 12/30/08 with our beautiful baby girl, Grace! I will forever be grateful for them making my dream of becoming a mom a reality! My daughter is now eight years old and there is not a day that goes by that I don't think to myself how blessed we are to have her and to have been referred to Dr. Levy! Being a mom is better than I ever expected! It was a rough road, but worth every bump! Don't give up hope, I never did!